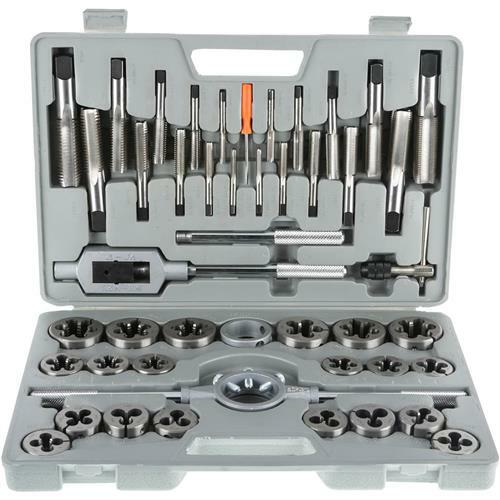 Our best Tap and Die Set is a must for any serious machinist or job shop. This High Speed Steel set includes inch sizes ranging from 1/4"-20 to 1"-8 in coarse threads and 1/4"-28 to 1"-14 in fine threads. All die stock is split and adjustable through the handle. 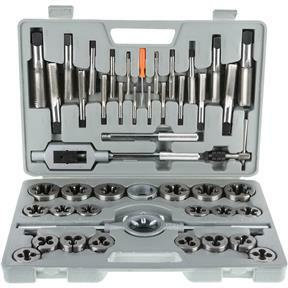 Set includes 2 tap handles, die stock handle and sleeve, screwdriver and carrying case.